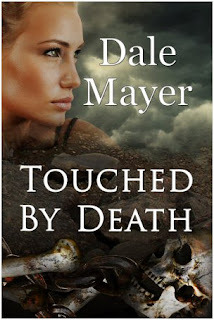 Paranormal Romance and More: Giveaway & Excerpt of Touched by Death by Dale Mayer! Giveaway & Excerpt of Touched by Death by Dale Mayer! The women headed to the Iron Market and the few shops open along the way. The elegant mansions and townhomes spoke of days gone by. Once glorious in their regal bearing and bright colors, these buildings had taken a major knock from Mother Nature. Still, even with the damage from the earthquake, Jacmel was a tourist destination like no other. At least here, there were obvious revitalization attempts happening to get the city back on its feet. The afternoon zipped by at a rapid pace – full of shopping, laughter and fun as the women ran from shop to shop and stall to stall buying a few items to make their job a little brighter and more comfortable. Jade was delighted to find several brightly colored t-shirts and cotton pants in a beige-khaki color. They would withstand a lot of wear and tear. At one brightly festooned stall, she found several hair clips big enough to hold her heavy blond hair off her neck. If she'd had a little longer to prepare and pack, she'd have gotten a haircut. As it was, the clips would do for now. She could always get it cut here if she couldn't stand the heat. Meg's short curls looked perfect. And Susan's fine black bob that stopped at her chin also looked comfortable. "Now that has to feel better." Meg patted Jade's hair clip. "Nice. Now I almost wish I had long hair myself. Almost." She grinned and picked up several clips. "I bet my sister would love a couple." "Later, when it's time to go home. Too much to pack this early." "You're right." Meg put it back with a sigh. "Too bad though." As they headed back to the SUV Susan stopped at another brightly colored stall, one festooned with odd-looking handmade dolls. An old short and squat women – wearing so many necklaces, they almost obliterated the sight of her red blouse underneath – worked at the booth. The woman's black gaze latched onto Jade and never let go. Jade moved to the other side of Susan in an effort to get away from that piercing stare. And came too close to the weird-looking straw and cloth dolls. She noticed the papier-mâché looking ones painted in black with weird markings…and many other items she couldn't begin to recognize. "What are these things?" Jade shuddered and took several steps back. "Not for me, thanks." Susan shook her head vigorously. "No. You don't get it. This stuff is for good luck. Used to ward off bad spirits." With a second shudder, Jade moved several steps back, shaking her hands in front of her. "I still don't want one." Susan grinned and reached to pluck her choice off the top of the stall. "Well I do. Just what we need for the grave work." The transaction was done in silence. The old woman accepting the money never took her eyes off Jade. Unsettled, Jade did everything to avoid her. She wished Susan would hurry. Finally they were done. Jade turned to leave when the old women moved off her stool so quickly, Jade never would have believed it possible if she hadn't seen it herself. Before Jade could back away the old woman grabbed her by the arm. "Danger stalks you. You see it but you don't understand it. Careful. Or you will join those that have gone before." She dropped Jade's arm and returned to her stool beside her cart. Jade froze. So shocked and horrified by the crone's touch, she hardly understood what the old woman said. Meg grabbed her arm. "Come on," she hissed. "Forget about her. Let's get back to the SUV." Susan snagged her other arm so the three walked back linked together. "That was too weird," Meg said. "I'm glad you got a doll, Susan. Good luck is just what we need." Posted reviews from satisfied readers! 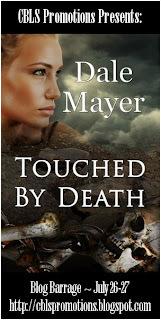 Dale Mayer has done it again. She's written an amazing, page-turning book that's unlike any other book I've read. I can't imagine any other author setting a book in Haiti after a devastating earthquake - and pulling it off so brilliantly. I cared about Jade and Dane. They felt like real people in trouble. I admired them and wanted them to be safe and happy. Death had touched anthropologist Jade Hansen in Haiti once before, costing her an unborn child and perhaps her very sanity. A year later, determined to face her own issues, she returns to Haiti with a mortuary team to recover the bodies of an American family from a mass grave. Visiting his brother after the quake, independent contractor Dane Carter puts his life on hold to help the sleepy town of Jacmel rebuild. But he finds it hard to like his brother's pregnant wife or her family. He wants to go home, until he meets Jade - and realizes what's missing in his own life. When the mortuary team begins work, it's as if malevolence has been released from the earth. Instead of laying her ghosts to rest, Jade finds herself confronting death and terror again. And the man who unexpectedly awakens her heart - is right in the middle of it all. Dale Mayer is a prolific multi-published writer. She's best known for Tuesday's Child, Hide'n Go Seek, her romantic suspense novels that was one of the final four in the Kensington Brava/Romantic Times contest this last year. Besides her romantic suspense/thrillers, Dale also writes paranormal romance and crossover young adult books in several different genres. To go with her fiction, she also writes nonfiction in many different fields with books available on resume writing, companion gardening and the US mortgage system. She has recently published her Career Essentials Series . All her books are available in print format as well. 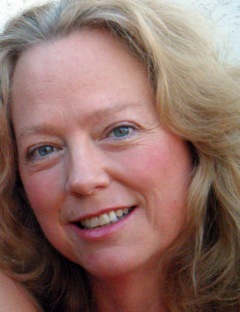 To find out more about Dale and her books, visit her at http://www.dalemayer.com. Or connect with her online with Twitter at www.twitter.com/dalemayer and on Facebook at www.facebook.com/dalemayer.author. Touched by Death – out now! Deadly Designs – Book 2 – out soon! Vampire in Distress – Book 2 out soon! Gem Stone Mystery Series- out soon! Enter below via the Rafflecopter!